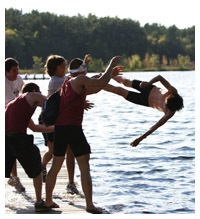 Conditions at Turkey Pond were generally good for racing: sunny skies, temperatures in the mid to upper 60s, and a moderate headwind that tapered off as races progressed. The B1 and G2 races were delayed after both boats lost skegs in their warmups after hitting submerged logs. The boys and girls fourth, fifth and sixth eights ended their season at St. Paul’s today–a big congratulations to them. 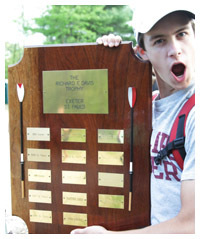 The first, second and third eights will race for medals next weekend at the New England Interscholastic Rowing Association (NEIRA) Championship Regatta at Lake Quinsigamond in Worcester, MA. Additional information, including seedings, lane assignments, and heat times, will be posted later this week. Photos from today’s races have been added. A reminder: these web-friendly photos are only a small number (213/871) of lower-quality (1/3 resolution) versions of the original photos–please contact me for hi-res copies suitable for cropping, printing, etc.